Pitchers and catchers have reported! That means spring is semi-officially here. Soon the Cactus and Grapefruit Leagues will be awash with action, offering up some great pre-season play and delicious dogs to accompany 2016 spring training. It has been a brutal winter...for some. Did I mention I spent a week in January in Palm Springs? I was checking out the California League, and of course while in town I sought out the best hot dog hot spot to report on. You know, for a town that is as affluent and famous as Palm Springs you would think they would have a dedicated, brick and mortar hot dog hangout where the denizens could dine on the dog. Surprisingly, you can get a latte on every corner but no dog joint….until now. 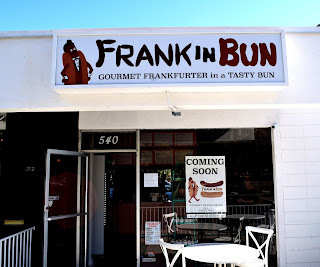 Frankinbun was not officially open when owner Tristan invited me to the test run of Palm Springs’ only true hot dog hot spot. 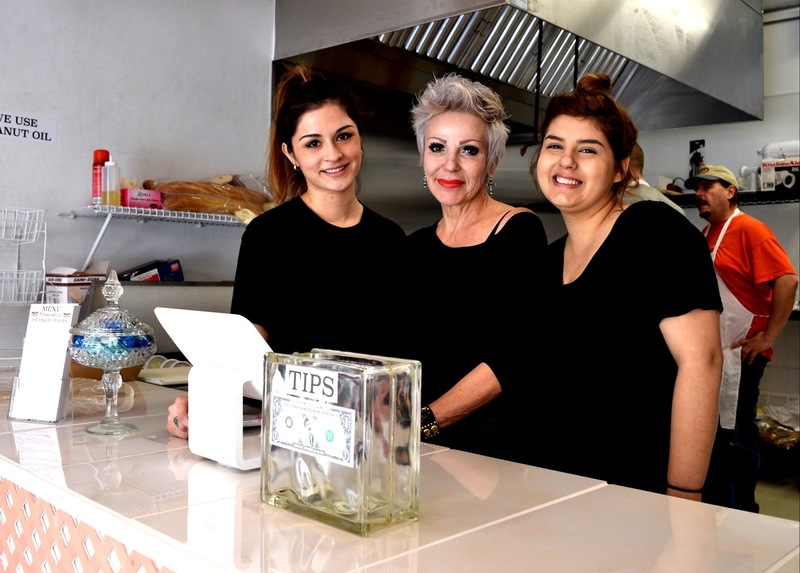 It is an small, unassuming place on 540 South Indian Canyon Drive, but it delivers a gigantic dose of food diversity into the city. I mean, what is a town without a go-to hot dog place? Make no mistake, this IS the go-to stop for hot dogs in the greater Palm Springs area. And this is no greasy spoon dog stand. In a style that would make the Palm Springs residents proud, the delicious, natural-casing franks are served on a Parisian Baguette. What could taste better? Topping the same dog with some of Frankinbun’s gourmet chutney toppings. With about a dozen signature dogs to choose from, I had the Portuguese/Hawaiian Hot. It is both sweet and spicy, add a dollop of chutney and it sets off a cross-cultural, European/Pacific explosion of flavor. Choose from an impressive list of craft beers to wash it down with, or as I did, a sparkling Perrier. The perfect Palm Springs hot dog experience. 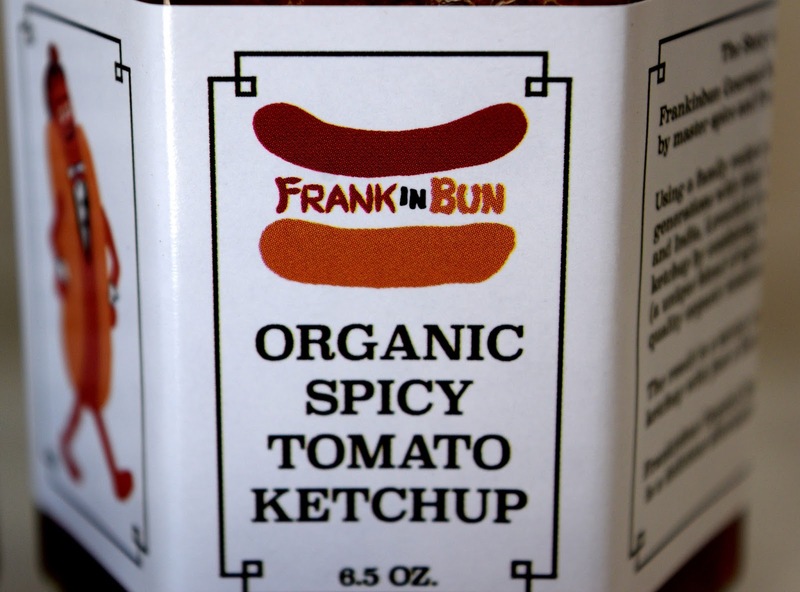 Frankinbun is an addition that the city should be excited about. No looking down your nose at this hot dog joint. It’s a first class, gourmet eatery that peddles an American Staple. Carey Grant would be proud to eat here. Wait...I think he is dead. Come to think of it, you will be too someday. Live or visit Palm Springs? 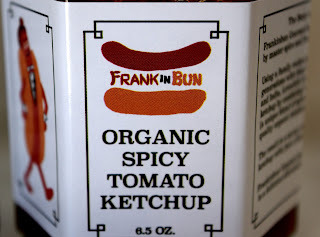 On your deathbed one regret you will have is not downing a dog at Frankinbun. 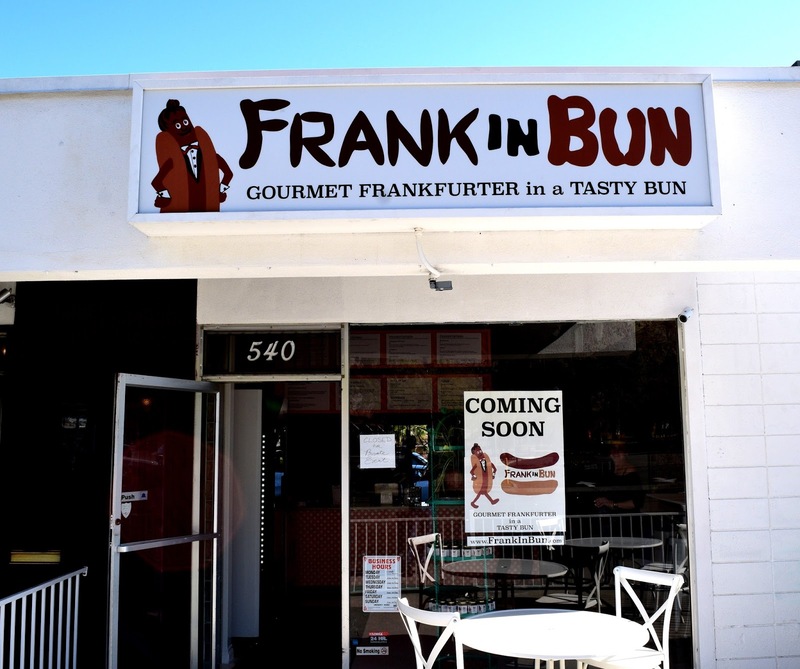 Don’t die bitter….grab a friend and head to Frankinbun and enjoy some of Palm Springs’ newest and finest cuisine. With Valentine’s Day coming up it marks the day you should acknowledge your love. It also hearkens the end of of the California Baseball League season. It’s a short season designed to showcase talent for scouts and ballclubs for players that, for one reason or another, were not drafted. It also affords me the opportunity to acknowledge my two loves: baseball and hot dogs. Probably the most important item to know about the California League is that it is located in Palm Springs, California. Considering that is starts in January, and is the only baseball being played in the nation during that time, it makes the perfect winter getaway. Got a spouse/partner that is not interested in making a baseball road trip? Mention Palm Springs and sunny, warm weather and you have an instant travel companion. The weather really was fantastic for catching some games. Speaking of which, games start at nine in the morning at Palm Springs Stadium (see the previous post about having breakfast in the ballpark). The second game starts noonish and one eight dollar ticket gets you admission to both games. Occasionally there are even three games per day. The league runs a special every day so you will most likely qualify for a two-buck admission at least once per week. Parking is free in the lot shared with the public library. The ballpark is a oldie but goodie. A former polo ground, it opened for baseball in 1949. Since, it has been expanded four times to hold its current capacity of just over 5,000 fans. It also served as the California Angels spring training facility for 30 years. Overall, it is a solid, albeit long in tooth, ballpark that offers up a pleasant baseball experience. It is located close enough to downtown Palm Springs to call it a downtown ballpark, and it is staffed by one of the most personable ballpark crews in baseball. They really want fans to have a memorable time. Despite its capacity, expect to see only a few hundred fans there. I love having the extra room, and if you ever wanted to catch a foul ball this is your ballpark. A good share of the fans are Canadian snowbirds. About half of the teams are sponsored by Canadian cities so expect to hear “Oh, Canada” played before the “Star Spangled Banner.” If you read my book Gone to the Dogs, you know that was the case during my first MLB game at Three Rivers Stadium in Pittsburgh when the Pirates hosted the Montreal Expos in 1971. They only Expos player I remember from that day is Boots Day. I guess from his unique name. Guess who was managing the Manitoba team while I was there? That’s right. Boots Day himself. I got to chat with him briefly. Weird no? How are the dogs? I was not expecting much considering the size of the ballpark and the number of fans served. But the league manages to serve up two variants of dogs, a regular and a quarter-pound dog. The franks are National Deli brand and are decent tasting. I had both, they taste about the same except for the obvious more meaty ¼ pound version. Nothing outrageous, but a dog that meets expectations with relish, mustard and onions available. Worth having one if at Palm Springs Stadium. Was it worth driving nearly two thousand miles there, back and in between? You bet. Watching hungry players scrape it out for a minor league contract while dodging foul balls with a dog in hand, all while basking in great, sunny weather in the middle of January, is my idea of the perfect getaway. Speaking of which, where are you taking your Valentine on that special day? No plans? I know this sunny spot in the desert where you can entertain you lover all day for about eight bucks.